1. Selection of a Mediator: This task is done in cooperation with the opposing party. If the ­case involves particularly complex issues and multiple parties, you may want to research and identify mediators who specialize in handling such cases. It is often useful to have a mediator who is familiar with unusual or complex legal issues (i.e. insurance coverage claim, multi-party construction contract dispute, pollution lawsuit, or intellectual property dispute, etc.). This will result in a more efficient use of the parties’ time at mediation. Remember, the mediator spends a great deal of time listening to a party’s position and carrying the parties’ messages back and forth. 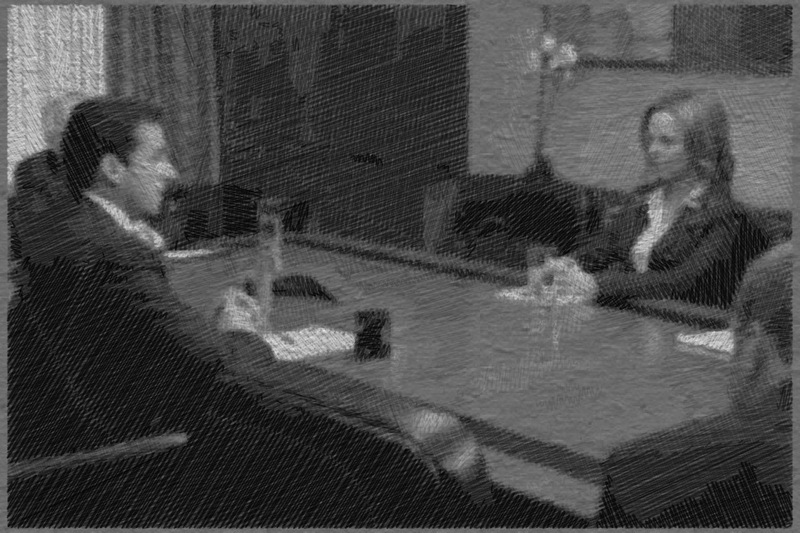 If you have a mediator with a background in the area of dispute, then he can more accurately explain a party’s position and suggest solutions to the dispute which may have been overlooked. In addition to liens, you should be prepared to address the costs you anticipate your client will have to pay out of any settlement if the case settles now versus if the case goes to trial. Make sure you have a handle on all litigation expenses including attorney fees, investigation costs, filing fees, expert fees, deposition expense, videotaping charges, filing fees, witness fees, exhibit preparation, coping costs, and other expenses which will come out of any settlement. Clients want to know what the bottom line is if they settle today, and mediators will often ask you about these expenses. 4. Legal Research: Conduct research on any pending or likely motions for summary judgment and be ready to address the merits of the same legally or factually weaknesses. 5. Expert Reports: Obtain any needed reports of expert opinions on any pivotal issues of liability or damages, and disclose any favorable findings sufficiently in advance of mediation to allow the opposing party to digest and consider the findings in their analysis of the case’s value. 6. Medical Records and Bills: Supplement and disclose all medical records and bills documenting client’s treatment sufficiently in advance of mediation to allow the opposing party to digest and consider the findings in their analysis of the case’s value. 7. Pending Motions: If there are pending motions not ruled upon by the court–such as discovery disputes, motion to bifurcate, summary judgment or other dispositive type of motions–then consider whether or not this will prevent any meaningful settlement negotiations until the motion is resolved. Sometimes a party will file such a motion to simply gain leverage during the negotiation process. 8. Indispensible Parties: Are there additional parties who bear joint responsibility for the harm being litigated and who are not joined as a party? If there is an insurance coverage dispute, then you will need to have all parties from the declaratory judgment action available for the mediation because they may be the actual decision-maker with the settlement money. You also may need to have parties from both the liability case and the insurance coverage case present. If the “insured”/defendant has assets, you may want him present to hear what is being discussed and consider whether he wishes to make up any shortfall between what the insurer is willing to pay and what is being demanded. The insured/defendant can also bring pressure to bear on the insurer if he is underinsured or only partially covered for the claim being made. If this is the case, then make sure you include any attorney privately representing the insured defendant in the settlement process. 9. Audio Visuals and Exhibits: You may want to use demonstrative exhibits during joint presentations such as a day-in-the-life video, video excerpts of a party’s deposition, MRI or X-rays, photos of your client’s injuries, diagrams or pictures of the scene, etc. Remember, a good picture is more eloquent and persuasive than any words you could use! 11. Status Report to Client: Advise the client of the mediation date and provide him with a copy of mediation statement for input and comment. 12. Who Will Attend: Determine who will be present at mediation. You should be ready to address any potential problems this might create for the mediation process, and decide whether it could compromise the confidentiality of the attorney-client relationship. Sometimes friends or family members who are not parties may want to attend. You need to be ready to address problems this may create for you. Family members or friends can try to hijack the negotiations or usurp your role. You want to have this cleared up in advance. Make it clear who is the attorney and who will be speaking. 13. Who Will Speak: Decide if you want your client to speak at mediation. Adjusters seldom attend depositions and may never have met your client. If your client is well spoken, then allow him to make a brief statement regarding how his life has been affected or changed. Such a statement can go a long way in educating the adjuster that your client has sustained a real and viable injury, and that your client will make a good appearance at trial. 14. Explain the Process: You should meet with your client in advance, and discuss exactly what will happen and how he should behave. A client needs to avoid emotional reactions or attacks on opposing party or counsel, even if they are rude or abrasive. Remind your client that you lose your ability to persuade once you offend the other party or their representative. People are much more likely to want to reach a resolution if they do not dislike the other side. 15. Explain Confidentiality: Make it clear to the client that you will guide what is disclosed in joint sessions. The mediator is not there as a friend or as his attorney. You do not want to disclose information to the mediator without a good strategic purpose. Mediators have one goal… to settle the case. If your client reveals all of his insecurities or weaknesses, then the mediator will use this information as a tool to move your side towards settlement. On the other hand, the mediator can provide an effective “devil’s advocate” and help your client honestly appraise his case and its value. Also, remember that while an opposing party cannot ask your client about what was said in mediation, they can make derivative use of information disclosed at mediation, and follow up on leads learned during the mediation process. In fact, some attorneys will use mediation as a tool for focusing their discovery. 16. Discuss Settlement Value Ranges: Prior to mediation, you should discuss the parameters of an appropriate settlement with your client, but encourage him to be flexible should new information be revealed during the mediation. 17. Prepare Your Client: Make sure you remind your client of the date, time and place of the mediation the day before the mediation. Nothing is worse than your client failing to show up! I always provide my client with a map and directions to the site at the time I send them my mediation statement. I would also provide the client with your cell phone number, and the telephone number of the mediator you are using. Also, discuss with your client the importance of dressing appropriately for the occasion. Remember, you only get one chance to make a first impression! You should explain the mediation process and let your client know what to expect, including the unexpected. Let the client know the importance of being flexible. Cover all of the ground rules concerning his participation outlined above. Go through the goals of your mediation. Your goals should include not only settlement, but obtaining a better understanding of your case’s weaknesses and strengths, as well as the costs and risks of going to trial if you are unable to reach a settlement. If you are unable to reach an actual dollar settlement, then you may want to consider negotiating a high-low agreement to reduce the risks to both sides of a crazy verdict. 18. Outline Your Opening Statement: Introduce yourself and your clients, express your optimism and willingness to reach a fair resolution, and outline the basis for the strength of your position. Address any known weaknesses that the other side will likely raise to show you are not afraid of them and will be able to effectively handle them at trial. If you are using a PowerPoint presentation or other electronic aids, make sure they work properly and have no glitches. Richard Cook graduated from Purdue University in the Economics Honor Program in 1979 and obtained his Juris Doctor degree from Valparaiso University School of Law in 1982. Following law school, Cook served as a federal law clerk in the U.S. District Court for the Northern District of Indiana, Hammond Division. In 1984, Cook began working as Deputy Prosecutor for the Lake County Prosecutor’s Office and from there, served as Assistant U. S. Attorney for the Northern District of Indiana, South Bend Division. There he handled a number of complex criminal matters and jury trials. While there, Cook received the Chief Postal Inspector’s Special Award, and a letter of commendation from the U.S. Attorney General for his work prosecuting a major money order fraud scheme being perpetrated out of the Indiana State Prison system. Since leaving the U.S. Attorney’s office in 1989, Cook has focused primarily on civil work. Cook is also a member of the ITLA, Indianapolis Bar Association and the ABA. Cook writes a blawg on litigation topics at http://www.the-barristers-toolbox.com. Cook is a member of the law firm of Yosha Cook Shartzer & Tisch located at 9102 North Meridian Street, Indianapolis, IN 46260, Telephone: 317-334-9200; Fax: 317-566-3578; email: rcook@yoshalaw.com. Mediation under this section involves the confidential process by which a neutral, acting as a mediator, selected by the parties or appointed by the court, assists the litigants in reaching a mutually acceptable agreement. The role of the mediator is to assist in identifying the issues, reducing misunderstanding, clarifying priorities, exploring areas of compromise, and finding points of agreement as well as legitimate points of disagreement. Any agreement reached by the parties is to be based on the autonomous decisions of the parties and not the decisions of the mediator. It is anticipated that an agreement may not resolve all of the disputed issues, but the process can reduce points of contention. Parties and their representatives are required to mediate in good faith, but are not compelled to reach an agreement. At any time fifteen (15) days or more after the period allowed for peremptory change of judge under Trial Rule 76(B) has expired, a court may on its own motion or upon motion of any party refer a civil or domestic relations case to mediation. After a motion referring a case to mediation is granted, a party may object by filing a written objection within seven (7) days in a domestic relations case or fifteen (15) days in a civil case. The party must specify the grounds for objection. The court shall promptly consider the objection and any response and determine whether the litigation should then be mediated or not. In this decision, the court shall consider the willingness of the parties to mutually resolve their dispute, the ability of the parties to participate in the mediation process, the need for discovery and the extent to which it has been conducted, and any other factors which affect the potential for fair resolution of the dispute through the mediation process. If a case is ordered for mediation, the case shall remain on the court docket and the trial calendar. Any person who wishes to serve as a registered mediator pursuant to these rules must register with the Indiana Supreme Court Commission for Continuing Legal Education (hereinafter “Commission”) on forms supplied by the Commission. The registrants must meet qualifications as required in counties or court districts (as set out in Ind. Administrative Rule 3(A)) in which they desire to mediate and identify the types of litigation which they desire to mediate. Two or more persons individually who are qualified under A.D.R. Rule 2.5 may register as a mediation team. All professional licenses must be disclosed and identified in the form which the Commission requires. The registration form shall be accompanied by a fee of $50.00 for each registered area (Civil or Domestic). An annual fee of $50.00 shall be due the second December 31st following initial registration. Registered mediators will be billed at the time their annual statements are sent. No fee shall be required of a full-time, sitting judge. The Commission shall maintain a list of registered mediators including the following information: (1) whether the person qualified under A.D.R. Rule 2.5 to mediate domestic relations and/or civil cases; (2) the counties or court districts in which the person desires to mediate; (3) the type of litigation the person desires to mediate; and (4) whether the person is a full-time judge. The Commission may remove a registered mediator from its registry for failure to meet or to maintain the requirements of A.D.R. Rule 2.5 for non-payment of fees. A registered mediator must maintain a current business and residential address and telephone number with the Commission. Failure to maintain current information required by these rules may result in removal from the registry. For the billing of calendar year 2011, when this Rule becomes effective, registered mediators must pay the $50.00 annual fee and a one-time fee of $25.00 for the time period July 1, 2011-December 31, 2011, for a total of $75.00 per registration area. The annual fee shall be $50.00 per calendar year per registration area thereafter. On or before October 31 of each year, each registered mediator will be sent an annual statement showing the mediator’s educational activities that have been approved for mediator credit by the Commission. Upon an order referring a case to mediation, the parties may within seven (7) days in a domestic relations case or within fifteen (15) days in a civil case: (1) choose a mediator from the Commission’s registry, or (2) agree upon a non-registered mediator, who must be approved by the trial court and who serves with leave of court. In the event a mediator is not selected by agreement, the court will designate three (3) registered mediators from the Commission’s registry who are willing to mediate within the Court’s district as set out in Admin. R. 3 (A). Alternately, each side shall strike the name of one mediator. The side initiating the lawsuit will strike first. The mediator remaining after the striking process will be deemed the selected mediator. A person selected to serve as a mediator under this rule may choose not to serve for any reason. At any time, a party may request the court to replace the mediator for good cause shown. In the event a mediator chooses not to serve or the court decides to replace a mediator, the selection process will be repeated. (A) Civil Cases: Educational Qualifications. (1) Subject to approval by the court in which the case is pending, the parties may agree upon any person to serve as a mediator. (2) In civil cases, a registered mediator must be an attorney in good standing with the Supreme Court of Indiana. (3) To register as a civil mediator, a person must meet all the requirements of this rule and must have either: (1) taken at least forty (40) hours of Commission approved civil mediation training in the three (3) years immediately prior to submission of the registration application, or (2) completed forty (40) hours of Commission approved civil mediation training at any time and taken at least six (6) hours of approved Continuing Mediation Education in the three (3) years immediately prior to submission of the registration application. (4) However, a person who has met the requirements of A.D.R. Rule 2.5(B)(2)(a), is registered as a domestic relations mediator, and by December 31 of the second full year after meeting those requirements completes a Commission approved civil crossover mediation training program may register as a civil mediator. (5) As part of a judge’s judicial service, a judicial officer may serve as a mediator in a case pending before another judicial officer. (B) Domestic Relations Cases: Educational Qualifications. (1) Subject to approval of the court, in which the case is pending, the parties may agree upon any person to serve as a mediator. (2) In domestic relations cases, a registered mediator must be either: (a) an attorney, in good standing with the Supreme Court of Indiana; (b) a person who has a bachelor’s degree or advanced degree from an institution recognized by a U.S. Department of Education approved accreditation organization, e.g. The Higher Learning Commission of the North Central Association of Colleges and Schools. Notwithstanding the provisions of (2)(a) and (b) above, any licensed professional whose professional license is currently suspended or revoked by the respective licensing agency, or has been relinquished voluntarily while a disciplinary action is pending, shall not be a registered mediator. (3) To register as a domestic relations mediator, a person must meet all the requirements of this rule and must have either: (1) taken at least forty (40) hours of Commission approved domestic relations mediation training in the three (3) years immediately prior to submission of the registration application, or (2) taken at least forty (40) hours of Commission approved domestic relations mediation training at any time, and taken at least six (6) hours of approved Continuing Mediation Education in the three (3) years immediately prior to submission of the registration application. (4) However, if a person is registered as a civil mediator and by December 31 of the second full year after meeting those requirements completes a Commission approved domestic relations crossover mediation training program (s)he may register as a domestic relations mediator. (5) As part of a judicial service, a judicial officer may serve as a mediator in a case pending before another judicial officer. (C) Continuing Mediation Education (“CME”) Requirements for All Registered Mediators. A registered mediator must complete a minimum of six hours of Commission approved continuing mediation education anytime during a three-year educational period. A mediator’s initial educational period commences January 1 of the first full year of registration and ends December 31 of the third full year. Educational periods shall be sequential, in that once a mediator’s particular three-year period terminates, a new three-year period and six hour minimum shall commence. Mediators registered before the effective date of this rule shall begin their first three-year educational period January 1, 2004. (D) Basic and Continuing Mediation Education Reporting Requirements. Within thirty (30) days of presenting a Commission approved basic or continuing mediation education training course, the sponsor of that course must forward a list of attendees to the Commission. This list shall include for each attendee: full name; attorney number (if applicable); residence and business addresses and phone numbers; and the number of mediation hours attended. A course approved for CME may also qualify for CLE credit, so long as the course meets the requirements of Admission and Discipline Rule 29. For courses approved for both continuing legal education and continuing mediation education, the sponsor must additionally report continuing legal education, speaking and professional responsibility hours attended. (E) Accreditation Policies and Procedures for CME. (g) in the case of law school classes, in addition to the standard set forth above the class must be a regularly conducted class at a law school accredited by the American Bar Association. (a) Legislative, lobbying or other law-making activities. (b) In-house program. The Commission shall not approve programs which it determines are primarily designed for the exclusive benefit of mediators employed by a private organization or mediation firm. Mediators within related companies will be considered to be employed by the same organization or law firm for purposes of this rule. However, governmental entities may sponsor programs for the exclusive benefit of their mediator employees. (c) Programs delivered by these methods: satellite, microwave, video, computer, internet, telephone or other electronic methods. To be approved courses must provide a discussion leader or two-way communication, classroom setting away from the mediator’s offices, opportunity to ask questions, and must monitor attendance. (d) Courses or activities completed by self-study. (e) Programs directed to elementary, high school or college student level neutrals. (c) be accompanied by the written course outline and brochure used to furnish information about the course to mediators. (c) be accompanied by an affidavit of the mediator attesting that the mediator attended the course together with a certification of the course Sponsor as to the mediator’s attendance. If the application for course approval is made before attendance, this affidavit and certification requirement shall be fulfilled within thirty (30) days after course attendance. (F) Procedure for Resolving Disputes. Any person who disagrees with a decision of the Commission and is unable to resolve the disagreement informally, may petition the Commission for a resolution of the dispute. Petitions pursuant to this Section shall be considered by the Commission at its next regular meeting, provided that the petition is received by the Commission at least ten (10) business days before such meeting. The person filing the petition shall have the right to attend the Commission meeting at which the petition is considered and to present relevant evidence and arguments to the Commission. The rules of pleading and practice in civil cases shall not apply, and the proceedings shall be informal as directed by the Chair. The determination of the Commission shall be final subject to appeal directly to the Supreme Court. (G) Confidentiality. Filings with the Commission shall be confidential. These filings shall not be disclosed except in furtherance of the duties of the Commission or upon the request, by the mediator involved, or as directed by the Supreme Court. (H) Rules for Determining Education Completed. (c) Rounding the quotient up to the nearest one-tenth (1/10). (a) Four (4) hours of approved continuing mediation education for every hour spent in presentation. (b) One (1) hour of approved continuing mediation education for every four (4) hours of preparation time for a contributing author who does not make a presentation relating to the materials prepared. (c) One (1) hour of approved continuing mediation education for every hour the mediator spends in attendance at sessions of a course other than those in which the mediator participates as a teacher, lecturer or panel member. (d) Mediators will not receive credit for acting as a speaker, lecturer or panelist on a program directed to elementary, high school or college student level neutrals, or for a program that is not approved under Alternative Dispute Resolution Rule 2.5(E). Absent an agreement by the parties, including any guardian ad litem, court appointed special advocate, or other person properly appointed by the court to represent the interests of any child involved in a domestic relations case, the court may set an hourly rate for mediation and determine the division of such costs by the parties. The costs should be predicated on the complexity of the litigation, the skill levels needed to mediate the litigation, and the litigants’ ability to pay. The mediation costs shall be paid within thirty (30) days after the close of each mediation session. (5) not advise any party (i) what that party should do in the specific case, or (ii) whether a party should accept an offer. (1) The parties and their attorneys shall be present at all mediation sessions involving domestic relations proceedings unless otherwise agreed. At the discretion of the mediator, non-parties to the dispute may also be present. (2) All parties, attorneys with settlement authority, representatives with settlement authority, and other necessary individuals shall be present at each mediation conference to facilitate settlement of a dispute unless excused by the court. (3) A child involved in a domestic relations proceeding, by agreement of the parties or by order of the court, may be interviewed by the mediator out of the presence of the parties or attorneys. (4) Mediation sessions are not open to the public. (3) the status of the settlement negotiations to date. A confidential statement of the case may be supplemented by damage brochures, videos, and other exhibits or evidence. The confidential statement of the case shall at all times be held privileged and confidential from other parties unless agreement to the contrary is provided to the mediator. In the mediation process, the mediator may meet jointly or separately with the parties and may express an evaluation of the case to one or more of the parties or their representatives. This evaluation may be expressed in the form of settlement ranges rather than exact amounts. (D) Termination of Mediation. The mediator shall terminate mediation whenever the mediator believes that continuation of the process would harm or prejudice one or more of the parties or the children or whenever the ability or willingness of any party to participate meaningfully in mediation is so lacking that a reasonable agreement is unlikely. At any time after two (2) sessions have been completed, any party may terminate mediation. The mediator shall not state the reason for termination except when the termination is due to conflict of interest or bias on the part of the mediator, in which case another mediator may be assigned by the court. According to the procedures set forth herein, if the court finds after hearing that an agreement has been breached, sanctions may be imposed by the court. (E) Report of Mediation: Status. (1) Within ten (10) days after the mediation, the mediator shall submit to the court, without comment or recommendation, a report of mediation status. The report shall indicate that an agreement was or was not reached in whole or in part or that the mediation was extended by the parties. If the parties do not reach any agreement as to any matter as a result of the mediation, the mediator shall report the lack of any agreement to the court without comment or recommendation. With the consent of the parties, the mediator’s report may also identify any pending motions or outstanding legal issues, discovery process, or other action by any party which, if resolved or completed, would facilitate the possibility of a settlement. (2) If an agreement is reached, in whole or in part, it shall be reduced to writing and signed by the parties and their counsel. In domestic relations matters, the agreement shall then be filed with the court. If the agreement is complete on all issues, a joint stipulation of disposition shall be filed with the court. In all other matters, the agreement shall be filed with the court only by agreement of the parties. (3) In the event of any breach or failure to perform under the agreement, upon motion, and after hearing, the court may impose sanctions, including entry of judgment on the agreement. (F) Mediator’s Preparation and Filing of Documents in Domestic Relations Cases. At the request and with the permission of all parties in a domestic relations case, a Mediator may prepare or assist in the preparation of documents as set forth in this paragraph (F). The Mediator shall inform an unrepresented party that he or she may have an attorney of his or her choosing (1) be present at the mediation and/or (2) review any documents prepared during the mediation. The Mediator shall also review each document drafted during mediation with any unrepresented parties. During the review the Mediator shall explain to unrepresented parties that they should not view or rely on language in documents prepared by the Mediator as legal advice. When the document(s) are finalized to the parties’ and any counsel’s satisfaction, and at the request and with the permission of all parties and any counsel, the Mediator may also tender to the court the documents listed below when the mediator’s report is filed. (6) An income withholding order, with the caption in the case, so long as the order is in the form of a document that has been adopted or accepted by the court in which the document is to be filed and the order reflects the terms of the mediated agreement. With the exception of privileged communications, the rules of evidence do not apply in mediation, but factual information having a bearing on the question of damages should be supported by documentary evidence whenever possible. Whenever possible, parties are encouraged to limit discovery to the development of information necessary to facilitate the mediation process. Upon stipulation by the parties or as ordered by the court, discovery may be deferred during mediation pursuant to Indiana Rules of Procedure, Trial Rule 26(C). Upon motion by either party and hearing, the court may impose sanctions against any attorney, or party representative who fails to comply with these mediation rules, limited to assessment of mediation costs and/or attorney fees relevant to the process. Evidence of (1) furnishing or offering or promising to furnish, or (2) accepting or offering or promising to accept a valuable consideration in compromising or attempting to compromise a claim, which was disputed as to either validity or amount, is not admissible to prove liability for or invalidity of the claim or its amount. Evidence of conduct or statements made in compromise negotiations is likewise not admissible. This rule does not require exclusion when the evidence is offered for another purpose, such as proving bias or prejudice of a witness, negating a contention of undue delay, or proving an effort to obstruct a criminal investigation or prosecution. Compromise negotiations encompass alternative dispute resolution. Mediation sessions shall be closed to all persons other than the parties of record, their legal representatives, and other invited persons. Mediators shall not be subject to process requiring the disclosure of any matter discussed during the mediation, but rather, such matter shall be considered confidential and privileged in nature. The confidentiality requirement may not be waived by the parties, and an objection to the obtaining of testimony or physical evidence from mediation may be made by any party or by the mediators. Posted on May 2, 2013, in Uncategorized. Bookmark the permalink. Leave a comment.